Commuters from Chitungwiza and Norton will pay $1,50 and $2 per trip, respectively. The rest of the routes will be charged a dollar. 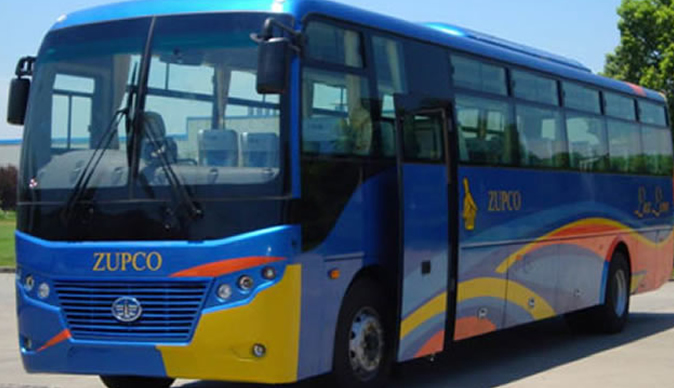 The Zimbabwe United Passenger Company (ZUPCO) will coordinate the new transport system after it was tasked to manage a fleet of buses that will cover all suburbs in Harare, before extending to other towns and cities. The buses had by last night been refuelled at the Central Mechanical and Equipment Department (CMED) and were ready to roll. Mr Mangwana The buses will start plying various routes from as early as 5am up until around 10.30pm. Makoni in Chitungwiza will have four buses to Harare City Centre that will do 11 trips each. The first bus will depart at 5.30am, the second at 5.50am, and then two at 6am and 6.10am. The last bus will leave at 8.50pm. On the other hand, another four buses will do 11 trips from Harare City Centre to Makoni with the first one leaving at 5am, followed by the 5.10am, 5.20am and 5.30am buses. The timetable is the same for Seke 1 and 2, St Mary's, Zengeza 1, 2, 3 and4. There are five buses that will ply the Tafara route between 5am and 9.50pm while Glen Norah A and B have four buses from 5am and 9.40pm. Briefing journalists in Harare on Saturday, Information, Publicity and Broadcasting Services Minister Monica Mutsvangwa said the new system would enable passengers to use various forms of payment including cash and plastic money. Measures had already been put in place to provide adequate security to protect passengers and the buses in view of recent disturbances, she said.